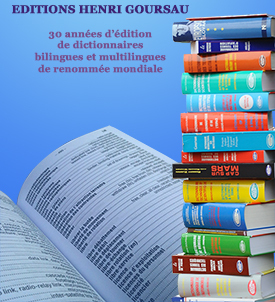 This is a new dictionary for the French to finally be able to speak to the people of Asia. A handsome book of presentation and discovery of the 70 main languages of Asia. Asia, a supercontinent which alone accounts for 60% of the world's population, will be one of the next global economies. The asian languages already in vogue are languages of the future for the next generations who will want access to these markets and to establish relationships. Chinese is the language most spoken in the world and will be a very important language in the future. Knowing Chinese will open up great opportunities. Thanks to this dictionary, tourists, business people, students, in daily life, will be able to exchange or express simple phrases, and therefore move around more easily in the various countries of Asia. 200 phrases and expressions in alphabetical order allowing to avoid uncomfortable situations or to make one's way around America. But also 200 key phrases to communicate, exchange, get attention, start a conversation, be understood, ask questions, obtain information in the local language. A multilingual passport of 70 languages to visit Asia and exchange in case of need or desire to speak with inhabitants. And if you are curious about the main languages of Asia and of writing, you will see in this book the script of languages such as Telugu, Tamil, Oriya, Hindi, Bengali and my two favorites Georgian and Burmese. But Sinhalese, which gave us quite a lot of work, has a very special script as well! A practical book which aims to be a glimpse into the principal languages as well as a precious instrument of communication anywhere in Asia. A modern dictionary for a direct relationship with the main languages of the Asian continent, and no longer just with English, considered to this point to be the only standard language for international exchanges.